Without fail my kids will go through a bottle of body wash in one day. 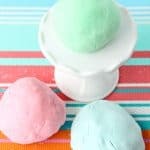 With these genius DIY kids soap pouches they can suds up without wasting soap or trying to hang on to the slippery bar of soap! These are fun and make showering easy. It is inevitable that if I let my kids use body wash during their bath or shower they will use half a bottle in one shower! I don’t know how they go through soap so fast. I am LOVING these quick and easy kids soap pouches to slip a bar of soap into so they can suds up without the waste! Want to make your own? They are SO easy and I’ve got an easy step-by-step tutorial so you can follow along! 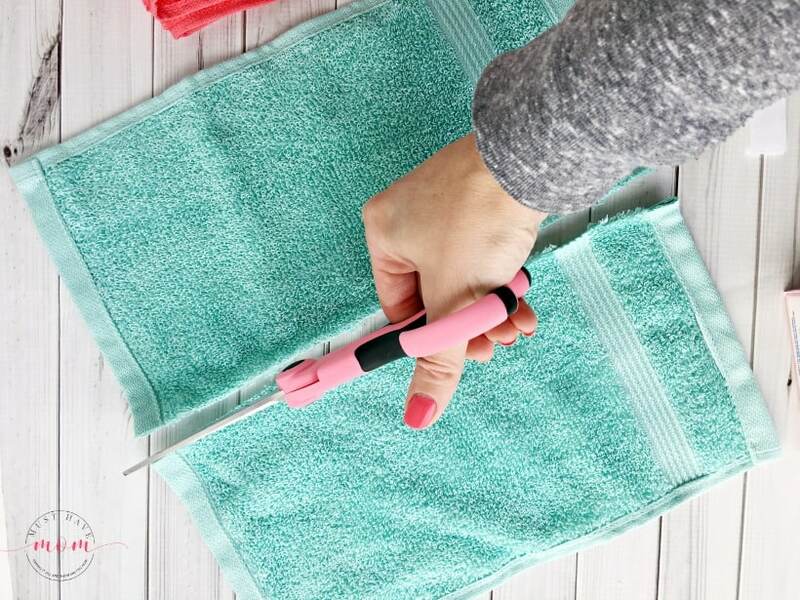 To make these DIY soap pouches you’ll need 1 washcloth for every 2 pouches you make, fabric scissors, Johnson’s Baby Bar soap, optional square of velcro, a sewing machine, pins and thread. I found the Johnson’s Baby Bar in the baby section at Walmart near the lotion and baby wash. 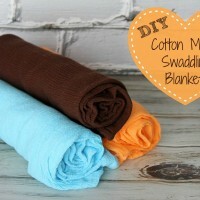 Begin by cutting your washcloth in half so you can make two pouches with it. Be sure to lay the Johnson’s Baby Bar on it and measure to make sure you cut it the right direction so the bar will fit inside it. You can watch this video for easy directions. I’m a visual learner and love to see it firsthand so I hope this is helpful to you too! 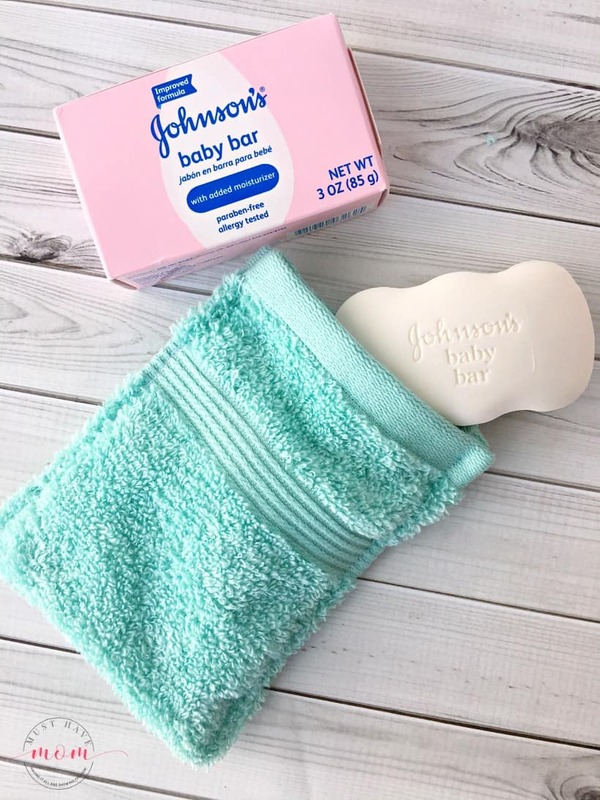 Next, fold over the washcloth on top of the Johnson’s Baby Bar (place it on the washcloth to ensure correct measurements). Fold over each long edge 1/4″ and pin. Then fold the washcloth in half lengthwise and adjust your pins to pin in place. Now sew each long end in a straight line, leaving the top open so you can slip the bar of soap inside the pouch. You can add a square of velcro if you want to secure the opening shut. I found that the soap stayed inside fine without the velcro but if you worry your kids will drop the bar out of the pouch then just add the velcro square to the opening. That’s it! Super easy right? Then place Johnson’s Baby Bar inside and you’re ready to suds up without dropping slippery soap or wasting a bottle of body wash! Want more fun Johnson & Johnson hacks? Check out this Pinterest board full of ideas or visit the Walmart site! Check out your local paper on 11/5 for a BOGO offer for Johnson’s products at Walmart! To report an adverse event or a product quality complaint, please call the Johnson & Johnson (J&J) North America Consumer Care Center at 800-361-8068 during normal business hours of operation: Monday through Friday, 8 a.m. to 8 p.m. ET. After normal business hours, you can report adverse events or product quality complaints through www.jnj.com Contact Us page. 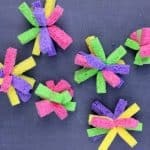 DIY Boutique Ribbon Hair Tie! 5 Minute Gift Idea – No Sewing Or Gluing! « Camping With Dogs: How To Be Prepared & What You Should Know! My kids do the same thing! I think they are washing the entire shower stall with liquid body wash. This is such a great idea, and it looks so simple! Yes, we seem to “mysteriously” use up lots of body gel in the bath! These are cute ideas, esp. for new(ish) moms. Visiting from Inspiration Mondays party. This would be a great ideas to add to a gift basket that I give to new moms at babyshowers. This is one of those “why didn’t I think of that” things! So easy, yet so effective! I definitely can relate to going through a whole bottle of body wash in a day. I never thought about using a bar soap before but this idea makes me think it’s worth a try! What a clever idea. I will just have to remember to take it out and wash it. as long as you can sew straight lines this should be easy. This is so genius! I absolutely love this and will be making these immediately- time to break out that dusty sewing machine!! Pinned!